Before the holidays last year, users may have noticed Facebook friends posting a template stating that they own the copyright to their own data and are exempting themselves from Facebook's new privacy guidelines. That was a viral hoax and apparently it's coming back in 2015, according to reports. Aside from the illustrious hoax-buster Snopes.com stating it was a fake and has been around since 2012, many other news outlets are also reporting its comeback. USA Today, all three major networks, and various tech sites wrote about the return, too. The gist of the hoax is that posting a "legal notice" on Facebook that supposedly will be protecting your privacy and copyright rights from Facebook. The problem is, as Snopes rightly points out, is that you can't claim an exemption because you're using Facebook and therefore must abide by Facebook's terms of service. CNN also mentions that, Facebook states in its terms of service that it doesn't want to copyright your material -- so the "legal notice" isn't even necessary. 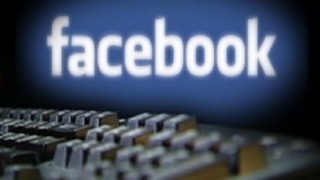 Some people may feel as if they have less privacy online, so pasting a template on Facebook may be a way to alleviate that feeling, but probably a better one would be to shut down one's Facebook or other social media accounts.